In other words, if you have a luxury home, it’s awesome for you. But... luxury does not mean you over the top spending. That’s why giving your home a luxurious feel is not easy. You are not the Queen of England, so you don’t have the budget, the palace or access to such luxurious material. However, worry not, with a few tips you can still add a luxurious feel to your home because every person’s home should feel like a castle. You can’t have the whole room looking awesome evenly. One part will look better than the rest. Whether you realize it or not, all rooms have a focal point. This is the part where a visitor’s eyes first go to. Focal points are in the architectural details so notice them. The basics of making your home look luxurious without even a big budget is making use of this focal point. That’s the place where you want to put the highlight of the room like a painting or extravagant couch. You don’t want subtle, loud or soft colors, you want warm colors. Warm colors are the perfect way to make a room inviting and pleasant. According to color psychology, warm colors like red, orange and yellow give a cozy and intimate feel. A really easy way for your home to emanate a luxury feel is to have plush furniture. And no matter how luxurious your home looks, you want it to really feel luxurious. Whether it is your dining table chairs, living room couches or bedroom beds, get ones that have high quality fabric, are fluffy and have deep colors. Oh, and don’t forget those fuzzy throw cushions for your couches. You don’t have to standard walls because there’s a lot that you can do to add the luxury style to it. 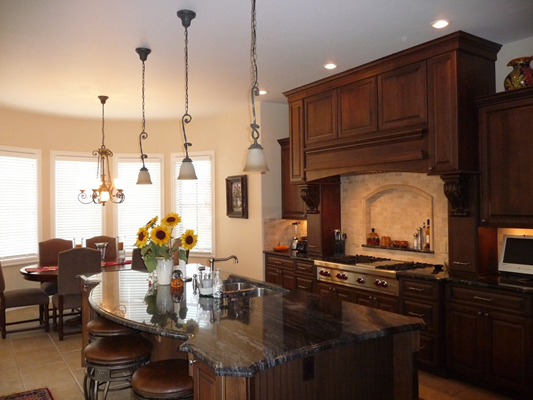 Using faux stone panel or stinkwood, you can replicate that luxury style you’re aiming for. Fax stone panels will give your home a wonderful Victorian luxury feel, while stinkwood will you a luxurious cabin feel. If you can get your hands on antiques, then great! Nothing says luxury that an antique piece of furniture. Finishing touches, like varnish, is perfect to add luxury to your furniture items. So ensure you don’t invest in a cheap one. Every once a year, make sure that all your furniture pieces gets a fresh layer of varnish to keep up that luxurious look. No one does not deserve a luxurious home, and your home is your castle, your palace, your place to unwind and love. So make it so!